With a total population of some 500 million, the unified countries of modern Europe constitute the world's largest collection of successful capitalist democracies. Yet within it, there are distinct clusters of states, each with its own characteristics, historical allegiances and political processes. Combining superb scholarship and rigorous empirical data with an accessible and engaging writing style, Representative Government in Modern Europe remains the leading textbook on comparativeEuropean politics. 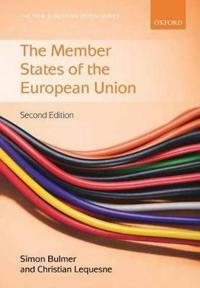 The fifth edition reflects key events and changes including the impact of the world financial and economic crisis; the EU's adoption of the Lisbon Treaty; and the election of a centre-right governments in Germany and the UK. Retaining its comprehensive thematic approach to Europe as an integrated whole, while reflecting the continued importance of the EU, the new edition explores the key themes emerging in European politics: the importance of political leadership, the rise of the populist and extreme right, the personalisation of politics, ethnicity, citizen participation.